Kids will love these simple rhythmic routines set to movie themes and classical music. 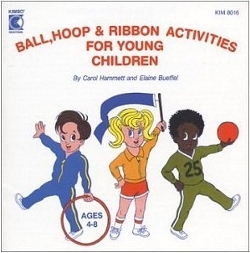 These progressive routines have been created for each piece of apparatus (ball, hoop, ribbon) so that the children progress with the recording. All of the routines have been tested and adopted for children with beginning skills. Suggestions for homemade equipment are included with this CD. Theme from "Little House on the Prairie"